In the highly regulated world of government contracting, companies face a complex and often shifting business landscape. Join us for a half-day seminar offering practical advice for common issues facing government contractors. This seminar is designed for all companies – whether your business is a new start-up or established entity. This panel will feature Jay E. Town, the U.S. Attorney for Northern District of Alabama. He will discuss enforcement priorities for the office. Some of the most important assets in government contracting business are your people and your ideas. This panel will offer practical legal strategies that can be employed from the formation of your business to protect both. 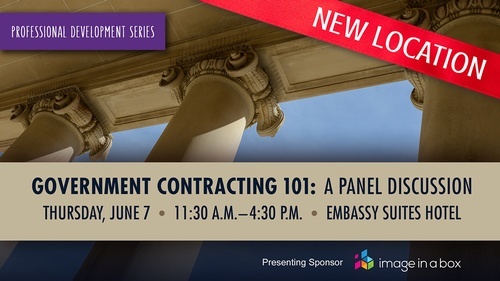 This panel of experts will discuss key developments in the bid protest arena, and will share practical tips on how contractors can effectively utilize the bid protest process to secure and retain federal contracts. The goal of many government contracting businesses is to be in a position for a change of ownership, whether that be by a sale, acquisition or the establishment of an ESOP. This panel is composed of attorneys and investment bankers with a track record of successfully assisting companies through this process. Lunch is included. There will also be a cocktail hour following this workshop from 4:30–5:30 p.m. All attendees are welcome and encouraged to attend.